Philanthropy & Community Investment has been a core foundation since the beginning of Bacardi. The company and the Bacardi family provided local disaster relief assistance, built a new city library, and supported charitable organizations from its inception in 1862 through today. Bacardi continues to be committed to the communities in which we live and work. We encourage employees to volunteer their time in programs and activities to support local organizations and we support the many worthwhile charities in our towns working to better our communities. 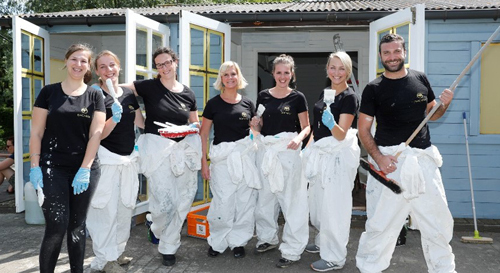 Despite being rated as a relatively lower priority on our materiality matrix, engaging our employees in supporting local communities remains an important part of our overall Corporate Responsibility approach as it benefits our communities and organization. Part of measuring our community investment is assessing the effect our charitable donations, both cash and in-kind, have on the organizations and communities we support. While we have continually updated our reporting system since its launch last fiscal year to make it more user-friendly, we will begin training our global employees on the process to ensure accurate tracking in FY19. Bacardi in the United States, with our North America headquarters located in Coral Gables, Florida, takes our commitment to our South Florida community very seriously. 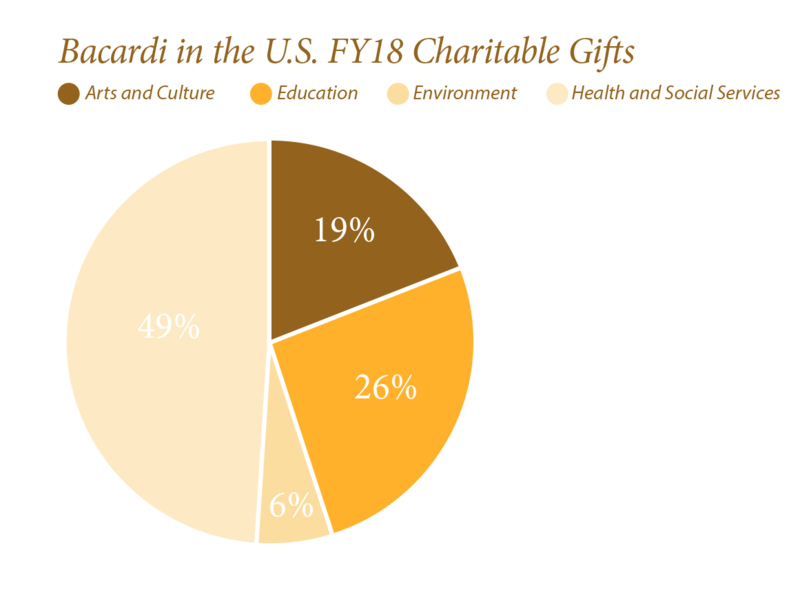 In FY18, Bacardi in U.S. alone provided $300,000 in cash grants to local charitable organizations and more than $350,000 in in-kind donations. Some of our offices and employees were impacted by natural disasters in FY18, including Hurricane Maria, which hit our Puerto Rico distillery in September 2017. While we were very lucky to have minimal damage to our facility and only a 10-day delay in production of our BACARDÍ rums, our people and our community were significantly affected. In addition to our community relief efforts and providing more than $3 million in charitable gifts to organizations helping with rebuilding efforts, our employees and partners from around the world contributed to an online fundraising campaign. All the money raised went to employees directly affected to help get their lives back on track. Read more about our disaster relief efforts here. Building on these efforts, in FY18 Bacardi announced the creation of the Bacardi Disaster Relief Fund and a new volunteer opportunity, called My InSpirit Day, for employees to take an additional workday to give back to a cause that has personal meaning for them.